Arden's Music offers repairs to most instruments by the top technicians in the area. We charge $60.00 per hour (Where hourly charges are available) or by the job. Our top notch repair team warranties all our work and gets the repairs done in a timely fashion. Bring your instrument or electronic item in and let us do a quick on the spot assessment. Often there are minor fixes our qualified staff can fix prior to the item going to a technician. If a technician is required we charge a $30.00 bench fee. This fee covers the cost of the technician trouble shooting issues and providing a comprehensive solution and full repair cost. The $30.00 is applied in full to any repair that is approved by the customer. 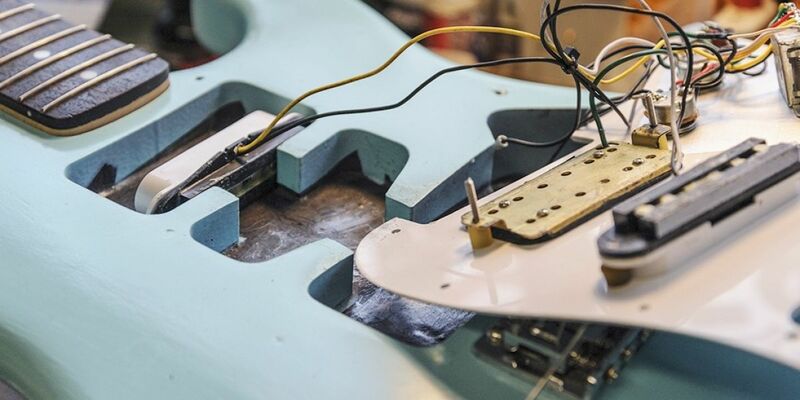 Guitars- From set ups to body work to Mod's our techs will professionally repair your instrument. Amps, Keyboards and PA Gear- Our trusted tech is factory authorized to offer full warranty for most major brands and is very quick and reliable.